Aquasol Beach - Making Memorable Moments in Mobay! 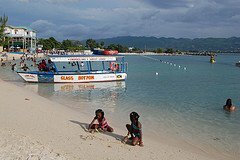 Formerly Walter Fletcher's Beach, the new aquasol beach has cemented its place as one of Jamaica's, and certainly, Montego Bay's most popular and adored beaches. April 2, 2018: The facility has just reopened. The prices are $500JMD per adult and $200JMD per child. Please however, contact them using the contact details below for further information. We still affectionately call it 'fletcher's beach, but it is now a theme park! 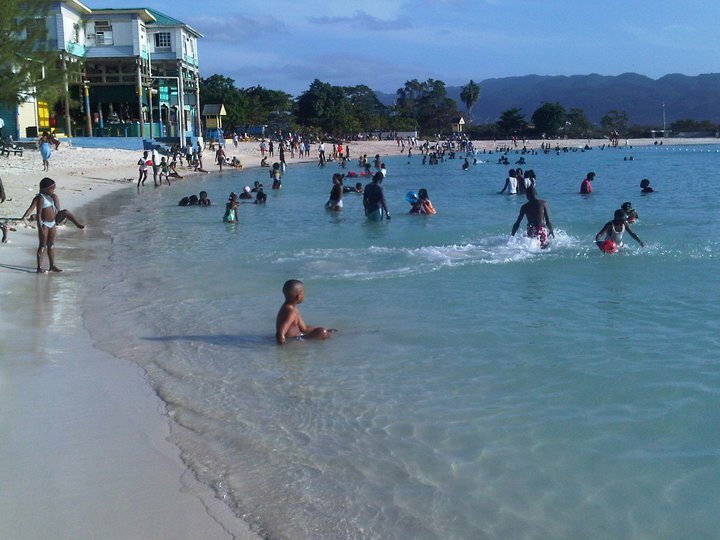 It is located right at the entrance of the popular "Hip Strip" here in Montego Bay. Aqua Sol is a highly family oriented theme park. There is fun for everyone!. By the way, it is also hailed as one of the safest here for children. The water sport activities are many! There are water trampolines, jet skis, banana boat rides, waverunners, kayaks, pedal boats, glass bottom boat and snorkeling. However, AguaSol greatest attraction for the youngsters is the MoBay 500, a unique GoKart racing cicuit. Located right at the entrance, it also features the kiddies snack bar and soda fountain. The park also boasts two professional tennis courts and equipment for players. There is also a tennis pro on hand for lessons. And unlike some of the other public beaches, Aquasol provides colourful beach furniture if you just like to relax on the sand. Aquasol also boasts a professionally managed Gym, a gift shop and a discotheque at nights. And by the way, it is also home to many of Montego Bay's top stage shows and parties. Make sure you subscribe to my free monthly e-zine My Island Jamaica Digest (MIJD) and get the latest from Jamaica! And by the way friends, there is also another beach adjacent to aqusol called, Old Hospital Beach, at least that's what we come to know it as, but it is equally good. The only issue is the fact that it is public and open to everyone. It is great though, I've enjoyed it a number of times. The newly refurbished Old Hospital Park is also right there, I actually wrote an article about it here. Take a read when you get a chance.